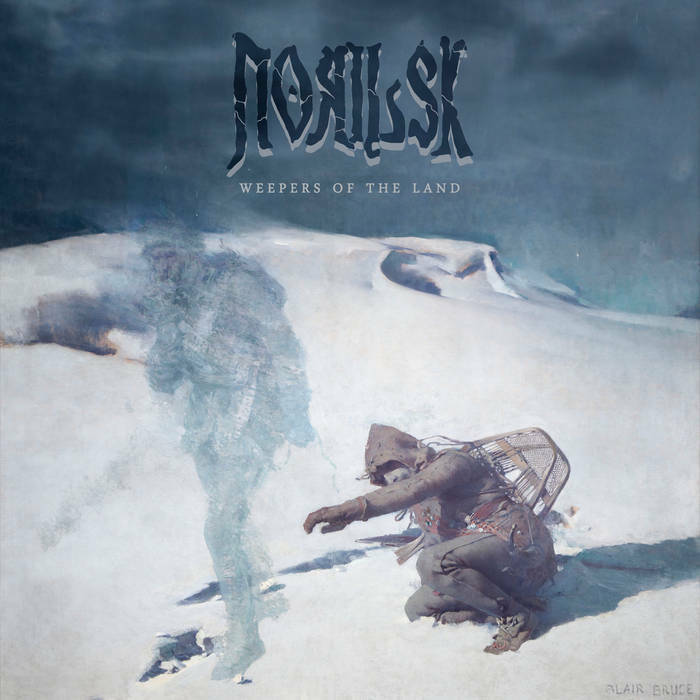 Doom-metal.com premieres Norilsk's new music video 'Weepers of the Land'. In association with Norilsk and Hypnotic Dirge Records, we are pleased to share with you the premiere of this new video, the title track taken from Norilsk's latest EP, released in October 2018. From the press release: "Funeral rites and its iconography have a long history of weepers, or weeping figures – sad, heavy characters mourning the deceased. 'Weepers of the Land' is a nod to the expression 'keepers of the land,' most often used in an indigenous and/or environment-related context, while referencing a less glorious side of history. The title song and concept is about what stays behind after someone vanishes. Joshua comments: "When we were developing the concept of the track, I had just finished listening to a podcast hosted by Indigenous journalist, Connie Walker, called Missing and Murdered: Who Killed Alberta Williams. Aside from the obvious painful subject matter, what really struck me was the guilt expressed, and carried for all these years, by those closest to Alberta Williams - What if I answered my phone that night? What if I turned around sooner? What if. As a father of two little girls, I couldn’t begin to imagine the deep sorrow that is carried by survivors of our Indigenous women and girls that go missing, or are murdered. I tried to give voice to just a fraction of what those feelings of pain, guilt and failure might feel like to a father or a mother, with the hope of creating better awareness and empathy for the issue of Murdered and Missing Indigenous Women and Girls in our country". The song's dark and heavy atmosphere takes the shape of an epic, extreme doom metal experience running to over ten minutes. The monumental proportions and slow pace represented both a challenge and an opportunity to transfer onto the screen. Approaching it from the perspective of a short movie, Erik Labossiere of Wikked Twist Films was given artistic freedom to develop the concept behind the video. Erik comments: "When creating the video concept for "Weepers" I wanted to create a narrative that could symbolize an array of current issues and motifs. With the core message of corruption and assimilation, I wanted to tell a story that could identify with any situation of oppression and abuse. I also wanted to create characters that each themselves expressed a reaction to these issues. Some see the plight of our world and react with indifference, with silence, with reinforcement, and some push to create hope. In my opinion, there is only one monster in this video, and everyone else exists within the grey, and its is up to the viewer to reflect on this and question which role they play". This video was directed by Erik Labossiere and Kristin Wagner, costuming by Beki Stilborn, was shot at the Creative City Centre in Regina, SK (organized by Catherine Abenstein) and featured Ivy West and Violet Rayes (of The Pink Champagne Girls), Donny Pinay and Nate Cradock (of Altars of a Grief), Beki Stilborn (Archaical), Josh DeCorby, Gabrielle Kyrylchuk, and Kaden Phillips. Masks created by Merimask. Music by Norilsk. Lyrics by Nic Miquelon and Joshua Cayer." CD and package orders at the HDR Bandcamp. More information at Hypnotic Dirge Records.